Is free expression online threatened by content removal? Angry with someone online? You should (literally) hear them out. Want a genuine exchange of ideas? Science proves you won't get that in the comments section. A 2016 Pew Research survey showed that half of political discussion online leaves participants feeling worse off then when they started. Ideological opponents are less likely to be dehumanized when their voices are heard aloud vs. typing. Morally outrageous content is more likely to be shared than rational political talking points. A sample from the Big Think YouTube comments section. Studies from neuroscience highlight how the brain both helps with and prevents collaboration. Neuroscientists identify the parts of the brain that affect our social decision-making. Guilt has a large affect on social interactions, find the researchers. American society is in trouble if we let fundamental disagreements cancel entire relationships. As the saying goes: Diversity isn't rocket science—it's harder. Living in a diverse civil society isn't just about embracing the things we like, says Eboo Patel. That's the 'egg rolls and samosas' view. Diversity means cooperating through disagreements. Have you ever judged someone harshly, ended a relationship or avoided one because of a fundamental disagreement? "Does the fact of that disagreement—voting differently in a particular election, disagreeing on fundamental issues, immigration policy for example, or abortion—does that disagreement cancel any chance of a relationship? If it does, we don't have a civil society anymore," says Patel. Even so, there are limits—what Patel calls the 'true barbarians'. In political philosophy, that person is defined as someone who destroys the conversation. With some groups, like the KKK, there can be no productive disagreements. Anyone else, you should try to engage with. The opinions expressed in this video do not necessarily reflect the views of the Charles Koch Foundation, which encourages the expression of diverse viewpoints within a culture of civil discourse and mutual respect. According to a Pew Research poll, 45% of U.S. adults get at least some of their news from Facebook, with half of that amount using Facebook as their only news outlet. Algorithms on social media pick what people read. There's worry that social media algorithms are creating filter bubbles, so that they never have to read something they don't agree with and thus cause tribal thinking and confirmation bias. 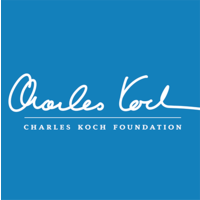 The Charles Koch Foundation seeks to identify programs and scholars working to understand how to move toward a society of equal rights and mutual benefit, where people succeed by helping others improve their lives. We also partner with non-profit organizations that help people improve their lives and communities. Our main areas of funding include criminal justice and policing reform, free expression, foreign policy, economic opportunity, and technology and innovation.